The „Times of India“ was founded in 1870 and is the largest English-language newspaper in the world, with a daily circulation of 3,5 million copies. Editors in 25 centers have been working successfully with the COMYAN Image System and Agency Text System for more than a decade. In 2018, BCCL upgraded the system to Unicode and local languages, and started to import Articles, Pages, Audio and Video to create a full „Content Backbone“ for the group, including historical data. Back in 1993, COMYAN implemented the first digital edition for „Kleine Zeitung“, creating one of the first digtal newspapers in the world. 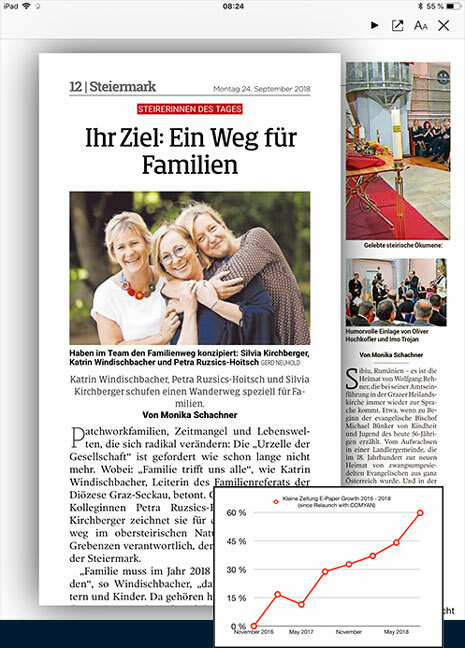 In 2016, Stryia Media group (Austria’s largest regional) introduced the new COMYAN E-Paper - and downloads and subscriptions soared as much as 70% within only two years. Next to a rock-solid delivery infrastructure, especially the unique, beautiful article views that adapt to all device sizes are a delight for the readers. 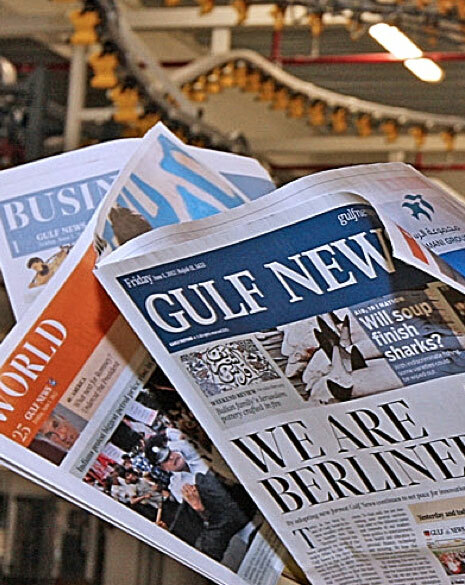 Since its founding, Gulf News has been the premier newspaper in Dubai. 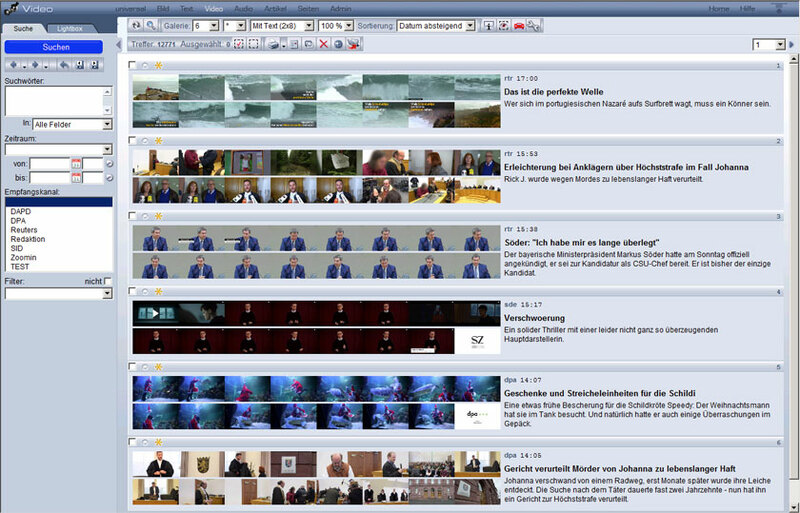 When COMYAN implemented the „Content Backbone“, it connected two editorial systems and migrated three different image and text archives into one central repository. Süddeutsche Zeitung (SZ) is Germany’s largest and most respected national quality paper with more than 500 editors and correspondents all over the world. SZ is using COMYAN for its central image repository and video repository for all print, online and daily video production tasks. For publishers of any size. The COMYAN Media System has never been limited to any particulary size of customer. 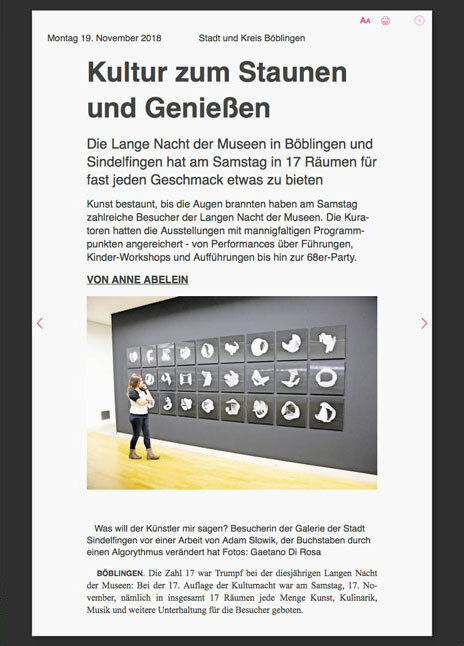 So we are very happy that small publishers like the „Kreiszeitung Böblinger Bote“ are also using our Content Backbone and E-Paper very successfully, with 20 editors.